All you need to do is - just mix, apply and rinse. It really is that simple and hair so healthy, your beauty just shines through! 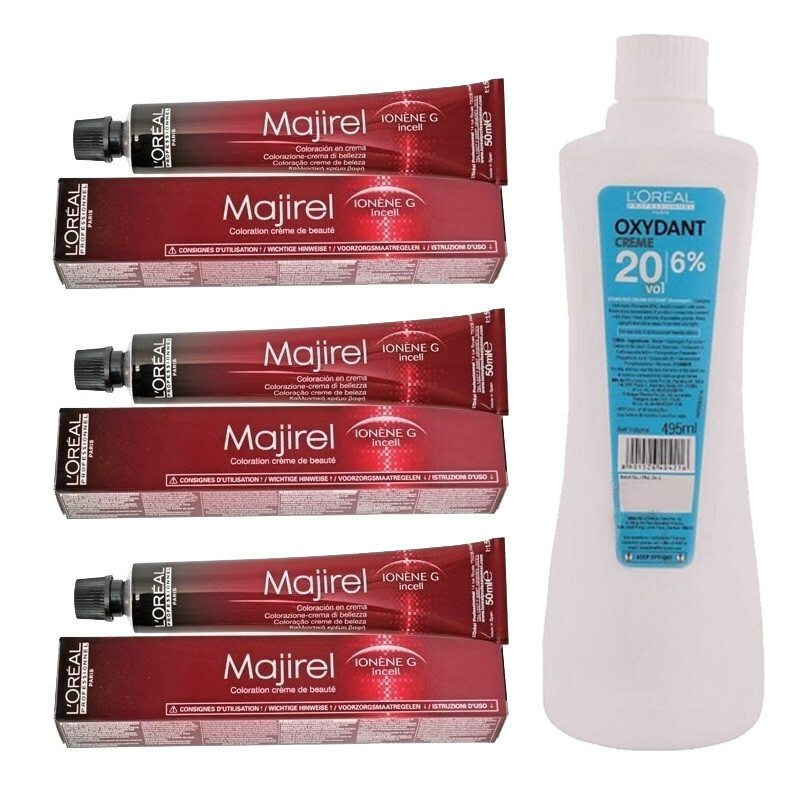 Loreal Majirel colors give a perfect finish with a color result that is even from roots to ends, Hair is left in superb condition with a brilliant shine, Darkens or lightens up to 3 levels, Unique, moisture-rich hair colors.The creme is made for professional stylists and should be used in a salon environment.Majirel permanent color that treats the entire hair fiber with conditioning active ingredients such as Ionene G and Incell.Result give rich, uniform, long lasting, color with 100% coverage of white hair.The L'Oreal Oxydant Creme Developer 20 Vol 6% is a permanent developing creme that is mixed with hair color to ""lift"" the hair to the desired color. The creme developer is made for professional stylists and should be used in a salon environment.the higher the volume, the lighter the tone of colored hair. The Creme Developer is formulated for easy application and consistent color results.This loreal hair color combo is gives you a best result and makes your hair shiny and smooth.